View our event management services. At Maharaja we are an in authority in wedding food, boasting vast experience in this specialist area. 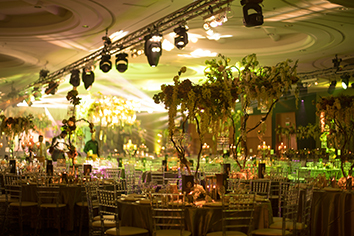 Whether you are planning a wedding, prom or even a birthday party, allow our team of planning experts to assist. Understanding that impression is everything in business we offer corporate event catering that is both professional and inventive. Maharaja displays a hunger to provide a sophisticated catering service to the Asian community, crafting innovative menus that are admirably diverse. With Asian weddings we understand that religious traditions must be adhered to with each family celebrating weddings in their own fashion. 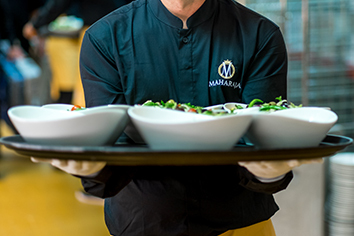 We at Maharaja offer our unique services to Muslims, Sikhs, Hindus and those who just adore the beauty of Asian cuisine. Having extensive experience in creating Indian delicacies Maharaja has proven to be an exceptional choice for wedding food, bringing a touch of class and a celebration of Indian culture to the table. We take great pride in our approach to wedding catering, creating a well thought out plan to ensure your wedding runs smoothly and efficiently. Allow us to guide the way and create a wedding food itinerary that will enhance this beautiful occasion, ensuring that both you and your guests enjoy a gorgeous meal. As a company we employ strong ethics, working only with local, fresh produce. All of our dishes are created on the day in which they are served, offering the best food experience possible. We cater to many types of Asian weddings so no request is too large. Whether you are hosting your reception at a hotel, in a marque or have booked an outside venue; be sure that Maharaja can bring your wedding to life. If you are looking for information about how we can enhance your wedding then call us today and discuss the many options at hand. Sikhs have their own special way of organising weddings, notorious for their flamboyancy and colourful displays. The grandeur and exuberance of a Sikh or Punjabi wedding is unmatched by any other culture with every detail thought-out, especially the food. With your wedding day being so important within your religion you will require wedding suppliers with the same passion for success. At Maharaja we are synonymous with food of a high standard, creating dishes that are opulent and inventive. With a diligent approach to menu creation Maharaja is the best choice for Sikh weddings, listening to our clients and creating menus in accordance. At Maharaja we understand that religious traditions and customs are essential with Asian wedding celebrations, especially Hindu affairs. Our catering services work inline your ethics, fitting into your celebrations where you wish. Hindus are renowned for putting on an unforgettable display, going to impressive lengths to ensure their ceremonies are ones to remember. With the joyous rituals taking peoples breath away you will want your evening food to do the same, providing your loved ones with a fantastic meal that impresses. If you are planning a Muslim wedding then we suggest you place great focus on the reception, especially the meal. 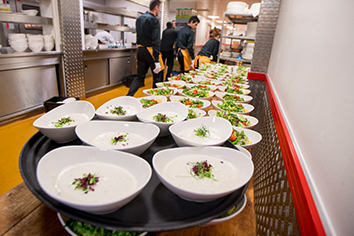 With the food being the part of the day in which everyone can unwind and enjoy themselves it is worth getting outside caterers to ensure food perfection. At Maharaja our expertise lay with Muslim wedding food, offering beautiful halal menus that are an admirable combination of classic and modern delicacies. We can create impressive walimah banquets for all types of Muslim & Pakistani weddings, allowing your guests to join you for your first meal as a married couple. At Maharaja we offer an unmatched service to Punjabi couples, putting on a spread that reflects Punjabi culture. Marriage is an auspicious occasion in the Indian society, with a huge focus being placed on every minute detail of the ceremony. Delectable cuisine is a must at such an occasion with the couple and their guests in need of a good wholesome meal following the many rituals of the day. Originality is essential at a Punjabi event with the bride and groom wanting their wedding reception to go down in history for its eminence. At Maharaja we are remarkably creative when crafting our menus, testing new dishes on a constant basis. Where Punjabi food is all about tradition we at Maharaja take an innovative approach, modernising dishes and creating fresh takes on Indian classics. Welcome to Maharaja, the experts in Gujarati wedding catering. The wedding meal is the most important ingredient of the wedding celebrations; therefore you must ensure it is not a recipe for disaster, choosing the right caterers to work to the deluxe standard that you expect. The proclamation of marriage is of particular importance with the Asian community with couples wanting to put on a display of grandeur and affluence. This is a specific focus when planning the reception, the time in which family and friends come together to signify the significance of the occasion.